• Alex Rins makes rapid improvements to place 1st. • Andrea Iannone not far away in 9th. • Team feeling optimistic ahead of Day 2. Team SUZUKI ECSTAR took to the Sepang International Circuit with positive energy following a successful weekend in Australia. 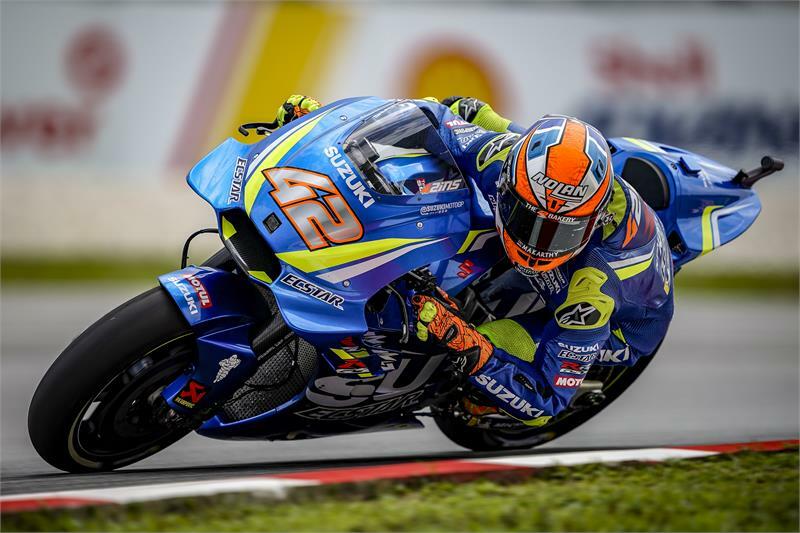 The morning’s FP1 session at the Malaysian track stayed dry, allowing Rins and Iannone to work on set-up and try different configurations of their aerodynamic package. The pair had a good session and finished 6th and 11th respectively. In the afternoon’s FP2 session the emphasis was on improving the lap times incase of rain on Saturday morning. Alex Rins got faster and faster throughout the afternoon, setting the quickest lap a few minutes before the end of the session and holding onto 1st place overall. The Spaniard also topped track sectors 1 & 2. Meanwhile Andrea Iannone was able to move himself into the crucial Top 10 with 9th place. Both riders are now provisionally placed in Q2 should FP3 be wet tomorrow morning.